I just got my Professional pass for New York Comic Con 2011! Who’s going??? I’ll be wearing my “Circuit Death” t-shirt, so if you see me, say what up! 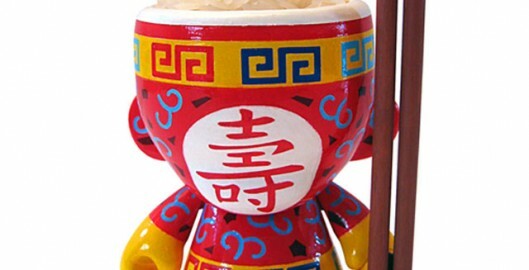 AW177 Chinese “Rice Bowl” Custom Mini Munny! A commission from an awesome friend who wanted a rice bowl custom on a mini munny. The hardest part was trying to get the head as smooth as possible, it took a ton of time to sculpt and sand, but I think this came out beautifully. I also gave it a glaze to give it a more porcelain look and added small details via decals. “Circuit Death” Limited Edition T-shirt $5 Off Labor Day Sale!!! “Circuit Death” Limited Edition T-shirt – $5 Off Labor Day Sale!!! Save $5 off your purchase of a “Circuit Death” t-shirt! Enter code LABORDAYSALE and $5 will be taken off the order! Quantities are limited, so act now – sale ends September 6, 2011!